Is supply catching up to demand in Charlotte's multifamily market? Market signals point to a continued slowdown in rent growth across metro Charlotte throughout this year. Research recently released by Dallas-based Axiometrics showed another month of lower rent gains for the Charlotte market in February, with renters paying an average of $6 more than in January and $30 more than the previous year. While up 2.9% annually, rents increased at a slower pace than the 6.2% rate seen in February 2016, and are expected to stay near that same level during 2017. A separate analysis of the Charlotte-area apartment market by MPF Research chief economist Greg Willett and analyst Cameron McIntosh projects that scheduled deliveries will rise 26% this year over 2016, bringing occupancy level below 95% for the first time in several years. Rent growth should continue to hover at about 4% in 2017, they said. 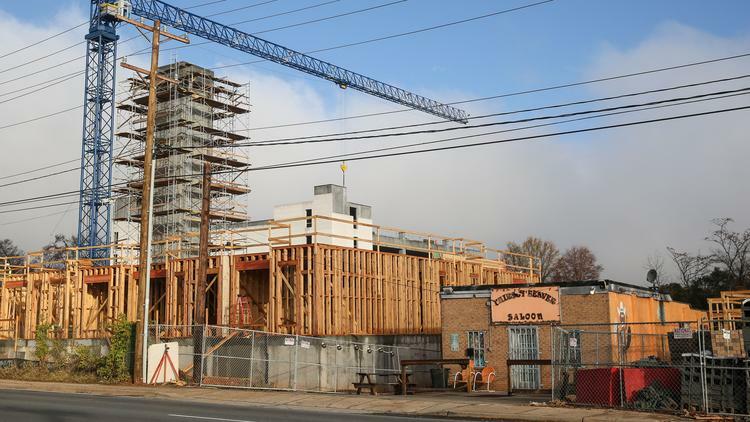 “It’s going to be harder to push pricing for top-tier product, especially in construction-heavy submarkets like uptown, South End, southwest Charlotte and Huntersville,” Willett said. In the fourth quarter of 2016, apartment occupancy remained at 95.5% and rents grew at an annual rate of 4.4%. A total 7,065 units delivered last year — a 4.5% increase in inventory, according to MPF research. “It’s been an impressive feat for demand to keep pace with completions and hold occupancies in good shape of late,” Willett said. Currently, 12,370 units are under construction across metro Charlotte, with nearly 9,000 apartments slated for completion by year-end. Willett and McIntosh expect 2017 to be a healthy year for Charlotte’s apartment market, though not as “robust” as previously seen. Check out the video below for the duo’s full report. Both Axiometrics and MPF Research are multifamily market data providers owned by RealPage Inc. (NASDAQ:RP).